Should I include children on Form I-485? When preparing an Adjustment of Status application it’s also necessary to list your children on Form I-485, Application to Register Permanent Residence or Adjust Status. But each child will need to have a separate I-485 application if they are immigrating with you. Even if the child was listed as a derivative applicant on an approved I-130 or I-140 petition, each applicant for permanent residence (green card) must file a separate Form I-485, Application to Adjust Status. U.S. Citizenship and Immigration Services (USCIS) has a specific definition for children. Therefore, it’s important that you understand the who qualifies as a child for the purposes of adjusting status. Born when you were not married. You will also be asked if “this child is applying with you.” However, answering “Yes” will not grant your child immigration benefits. Each child must be eligible and file a separate application. 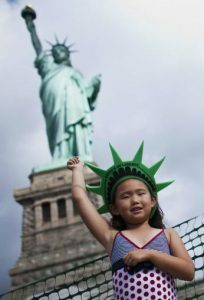 Like an adult, a child can generally file Form I-485 to adjust status if he or she is physically present in the United States and is the child of a U.S. citizen concurrently filing a Form I-130, Petition for Alien Relative, or is the child of a U.S. citizen or lawful permanent resident with a Form I-130 that is approved and current. U.S. citizen petitioning for your child (unmarried and under 21) Your child may file Form I-485, Application to Register Permanent Residence or Adjust Status, at the same time that you file Form I-130. U.S. citizen petitioning for your son or daughter (married and/or 21 or over) You file Form I-130. Your son or daughter files Form I-485 when a visa number becomes available. 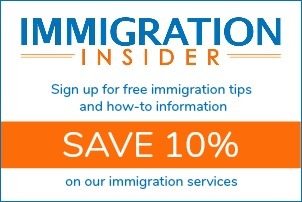 Permanent resident (green card holder) petitioning for your child, son, or daughter You file Form I-130. Your child, son, or daughter may file Form I-485 when a visa number becomes available. For more information, visit our section on family-based immigration or green card through adjustment of status. If the beneficiary is not physically present in the United States, he or she must apply for a green card through consular processing. If the mother is petitioning, no legitimation is required. If the father is petitioning, legitimation is required in accordance with the laws of the father or child’s place of residence. If the father is petitioning and the relationship is not legitimated under applicable laws, a bona fide parent-child relationship must be shown to have existed prior to the child’s 21st birthday and while the child was unmarried. A child born through Assisted Reproductive Technology (ART) to a non-genetic gestational mother who is recognized under the law of the relevant jurisdiction as the child’s legal parent at the time of the child’s birth. An adopted child if the child was adopted prior to age 16 (one exception is if siblings are adopted, as long as one was under 16, the other could be older than 16 but younger than 18), AND the adopted child has resided in the legal and physical custody of the adoptive parent for 2 years prior to filing (the legal and physical custody do not have to be the same time period, but each must be met for 2 years) However, most adoption-based immigration occurs through the orphan intercountry or Hague processes.